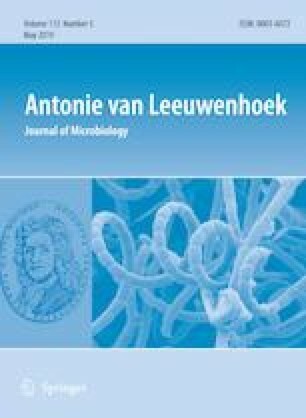 A Gram-stain negative, rod-shaped and non-flagellated bacterium, designated strain 1Q3T, was isolated from coastal seawater in Xiamen Island, China, and subjected to taxonomic characterisation using a polyphasic approach. Strain 1Q3T was found to be aerobic, non-gliding and to lack flexirubin-type pigments. Catalase activity was found to be negative and oxidase positive. The strain has the ability to degrade protein. The nearly complete 16S rRNA gene sequence of strain 1Q3T shows high sequence similarities with Nonlabens aestuariivivens OITF-31T (96.1%), Nonlabens halophilus CAU 1131T and Nonlabens spongiae UST030701-156T (95.7% and 95.5%, respectively). Phylogenetic analysis based on 16S rRNA gene sequences and phylogenomic analysis based on a 92 bacterial core gene set indicated that strain 1Q3T should be affiliated to the genus Nonlabens, but forms a distinct monophyletic branch, which is separated from the other members within the genus Nonlabens. The predominant fatty acids (> 10%) were identified as iso-C17:0 3-OH, iso-C15:0 and anteiso-C15:0. The predominant respiratory quinone was found to be MK-6. The polar lipids were identified as phosphatidylethanolamine, a phospholipid, an aminolipid and three unidentified polar lipids. The draft genome size of strain 1Q3T is 3.7 Mb with genomic G + C content of 41.1 mol%. Based on these results, strain 1Q3T is concluded to represent a novel species within the genus Nonlabens, for which the name Nonlabens xiamenensis sp. nov. is proposed with the type strain 1Q3T (= MCCC 1A14023T = KCTC 62889T). The online version of this article ( https://doi.org/10.1007/s10482-019-01258-8) contains supplementary material, which is available to authorized users. This work was supported by the projects of National Infrastructure of Natural Resources for Science and Technology Program of China (NIMR-2018-9) and Xiamen Ocean Economic Innovation and Development Demonstration Project (16PZP001SF16). ZH isolated this strain, and performed the phenotypic, physiological and biochemical characterisation. YD performed the part of biochemical characterisation. QL analysed the fatty acids profiles. ZH and ZS wrote the manuscript.